Police arrested a suspect in the shooting death of Steven Jackson who authorities termed a Good Samaritan after he followed a thief in a gas station hold up. Police believe Keith Hines, 40, robbed several gas stations and shot Jackson. Hines is charged with capital murder and two charges of aggravated robbery. Police believe Hines is responsible for a string of gas station robberies that began in September. He was caught after an anonymous tipster identified Hines from photos taken from a surveillance camera during one of the robberies. The anonymous caller will collect $20,500 in reward money from Crime Stoppers. Hines was already on parole for two charges of unauthorized use of a vehicle in 1987. He was sentenced to 45 years and was on parole until 2035. 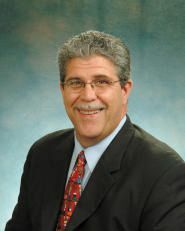 Hines worked for Access and Road Service Unlimited where he helped stranded motorists. 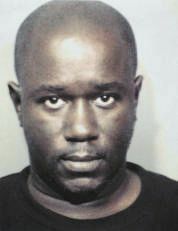 Hines was arrested without resistance at his home in Kingslake Forest off Beltway 8 where he lived with his girlfriend. Aldine ISDs M.O. Campbell Center will play host to the Academy National Invitational Tournament for the sixth consecutive year, slated Dec. 27-30. The tournament will feature some of the top teams from across the nation and Texas, including Aldine Senior High and one of the states top players in Gary Johnson, a 6-foot-7 forward who recently signed with the University of Texas. The National Division includes three of USA Todays top four-rated teams in the country as Norcross (Georgia), ranked No. 2, DeMatha (Maryland), ranked No. 3, and St. Patricks (New Jersey), ranked No. 4 make up part of that bracket. The five other teams in the National Division will be Christ the King of New York (ranked No. 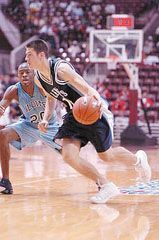 21), Kingwood (ranked No. 23), Alief Hastings, Rainier Beach (Washington) and Rice (New York). The Texas Division will consist of Aldine Senior High, Bellaire, Klein Collins, Houston Madison, Strake Jesuit, The Woodlands, Westbury Christian and Houston Yates. A jury of her peers found Valerie Gibson, 47, not guilty of involvement in a check-cashing scheme that stole more than a quarter million dollars from North Forest ISD. Gibson was a bookkeeper in North Forest ISD when she and three others were charged with fraud after three North Forest checks were stolen, written out to a fake company, and cashed in Las Vegas. Last year, the other three defendants pleaded guilty to theft and face up to life in prison. Two of them have been sentenced now that the trial against Gibson is complete. Gibson was the only defendant who pleaded not guilty. During the two-week trial, prosecutors claimed that Gibsons motive for stealing the money was to pay for an expensive house and furniture. Her position in the districts financial office gave her the opportunity. 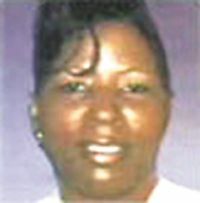 But jurors say the testimony of fellow defendant Cynthia Bailey was not credible. The jury deliberated for 15 hours over two days. At one point, the jury told the judge they were deadlocked. But after a weekend to reflect, the jury reconvened and found Gibson not guilty because there was a reasonable doubt. 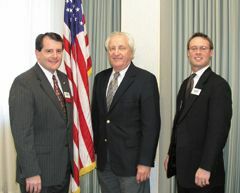 Investigator John Kleindienst recovered one-third of the stolen money, about $90,000 from a bank account in Las Vegas. That money goes back to the school district. NORTHEAST HOUSTON Hundreds of needy families in this area will have a happier Christmas, thanks to the efforts of the Macedonia Outreach organization, Jeds Home Center, and many other sponsoring companies. Last Saturday these groups got together to give food, toys, and computers to needy families that signed up with Macedonia to receive help at this holiday season. Sponsors included Macedonia Outreach Center, Jeds Home Center, Houston Food Bank, I-45 Signs, NHG Chamber of Commerce, North Houston Bank, Aldine Improvement District, North Houston Frontiers, Saturn, Randy Fine Foods, Chevron, Technology For All, Mattco, Schlumberger, VM Direct, Nabors Industries, Geico, and First Continental Bank. The event included a raffle, with two computers awarded to Shantelle McPherson and Maria Carreon, and many special toys given away to families. Another feature of the day was the participation by retired Harlem Globetrotters, who signed autographs and helped distribute the food packages. 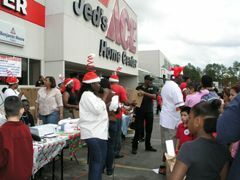 The distribution was held in the parking lot of Jeds Home Center on Aldine Mail Route. Other features of the day included face painting by Macedonia Outreach, and Jeds Clyde Bailey distributing popcorn all during the event. Macedonia director Kathy West thanked all in the community that helped bring holiday joy to families in need. 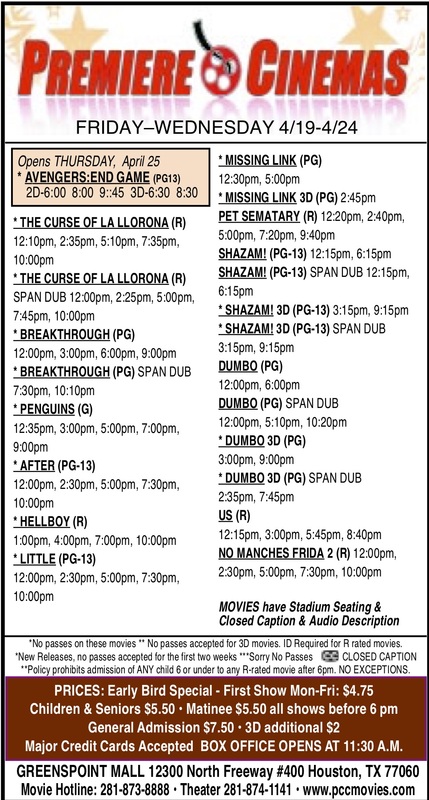 This is the finale for Two Cents Worth and 2006, hope you enjoyed the previous ones. So, have you got all your Christmas shopping done and bought tacky gifts for those you do not care for? Proper etiquette calls for a thank you to the gift giver and a smile on your behalf. Once its all said and done, donate the item to the Rotary for its annual auction come February. We received an electric skillet from a relative who had been recently married. Inside the skillet was a card to them from whomever gave it to them. At least its something that is used in this house. it was per her request as she wanted one. How about a baseball hat with a fake pony tail out the back? How about a used vacuum cleaner? Another bud says he request money, give me money. Said hes very picky, odd to fit and it is hard to please as a stick in the mud. His 60th birthday is coming in January and being a diabetic, guess hell receive something sweet from his bud in Texas. How about a T-shirt with a Unicorn on it from a convenience store with the price tag attached? How would you like a years subscription to this newspaper? One gal said she received a six months supply of diet pills and the $200 for them showed up on her credit card. Another said she received a Lighthouse cookie jar that once opened; it made the sound of a fog horn and scared the liver out of you. Aint no joke, I received a chunk of coal one year, boxed and gift wrapped. One said she received a paper shredder for Christmas. Said she should have used it on their marriage license. Of course some say underwear is the worst Christmas present, but I look forward to some new drawers each year. Some really tacky gift suggestions include: Beano, adult diapers, a back shaver, nose hair trimmer, rectal cleansing pads, menopause pills, and a pair of socks. Just think about it for ten more days and youll find out if youve been naughty or nice. NORTHEAST HOUSTON Merrill Lynch (NYSE: MER) employees are partnering with Habitat for Humanity to build a home from the ground up over a five-week period in Northeast Houston, giving a working Houston family the opportunity to finally call a home their own after being forced to relocate after the Gulf Coast storm disasters. This is the first year that Greater Houston Merrill Lynch is working with Habitat for Humanity. The Greater Houston offices raised more than $26,000 through donations for the home, and Merrill Lynch Corporate matched that amount for a total donation of $52,000 to Houston Habitat for Humanity. Before the Gulf Storms of 2005, one in 10 Houston working families was in need of affordable housing. Now those numbers have compounded because more than 30,000 people were forced into Houston from Louisiana. The home being built by Greater Houston Merrill Lynch will help Houston Habitat for Humanity to exceed their milestone goal to build 1,000 homes by the end of 2007, as part of Operation Home Delivery – a collaboration of Habitat for Humanity International launched in response to the recovery efforts near the Gulf Coast. Merrill Lynch Houston employees have contributed to Habitat for Humanity the past several months through office fundraisers, and will be dedicating their time and efforts to build the new Habitat for Humanity home at 11727 Greenmesa in the Greensbrook Subdivison, which is located in an unincorporated area of Harris County. Houston Habitat for Humanity is a not-for-profit organization that provides new homes for hard-working, low-income Houstonians who otherwise would not be able to afford a mortgage. The organization provides zero-interest loans to first-time homebuyers who partner with volunteers and sponsors to build their own homes in neighborhoods throughout Houston and Harris County. 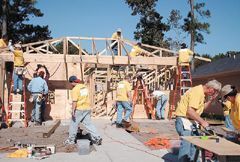 In addition, Houston Habitat operates a Habitat for Humanity ReStore six days a week at 6161 South Loop East at South Wayside Drive where homeowners, remodelers and contractors can find high-quality building materials and fixtures and furniture at deeply discounted prices. All proceeds from purchases at the store benefit Houston Habitat for Humanity. For more information about Houston Habitat for Humanity, its affordable housing sponsorship and its volunteer opportunities, visit www.houston habitat.org or call (713) 671-9993. The head of the 4th largest airport system in the nation, and the 6th in the world, is one description of Rick Vacar that the members of the NHGreenspoint Chamber heard at Novembers luncheon. Vacar is also a pilot, having flown 4400 hours, so he knows quite a bit about airports. He told the luncheon guests about the successes of the Houston Airport Systems 3 airports, and future plans for growth and expansion to meet the inevitable pressures of more flights. Currently the HAS handles about 55,000,000 passengers per year, and is projected to need to handle 80,000,000 by the year 2010. HAS has 3 airports, Bush Intercontinental, Hobby, and Ellington. The latter no longer had scheduled commercial flights, but is busy with government and private aircraft, Vacar said. HAS has a budget of $400 million per year, which is gained from concessions, parking and airplane landing fees. That money generates about $30 billion in economic activity in the city, according to Vacar. Expansion at IAH will include two new runways parallel to the current north runways. Long term plans call for improvements at IAH totalling $5 billion, and at Hobby $1.2 billion. At IAH the current 115 gates will increase to 225. Hobby will eventually have 5 runways. Ellington will expand with 3 national guard units moving from the city to the field. At IAH, the long range Master Plan, through 2025, is looking at new terminal buildings to replace A and B, perhaps as many as 5, in a style similar to Atlantas terminals. Parking is another consideration at the airports, but Vacar said that there are now 20,000 parking spots at IAH, and they generate significant revenue. NORTHEAST HOUSTON Groundbreaking ceremonies took place on Nov. 8, for a demonstration project to improve water and sewer service to about 96 homes on Vivian, 3 sisters, and Nuggent Streets. The Aldine Improvement District, with City, County and federal help will cooperate on a new sewer construction project. 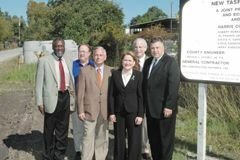 This demonstration project may be followed by at least 11 other areas in the Aldine Improvement District service area. Tasfield was chosen for the project because no sewer service was available, and a large number of septic systems were failing, according to David Hawes, of Aldine Improvement District. The Tasfield neighborhood is near the intersections of US59 and Little York. The area borders the city of Houston, and homeowners will be eligible to get city sewer service after the construction. Residents will pay about $15 a month to join the city system. Water currently is provided by Aquatech to homes. Because residents qualify under HUD income limits, a HUD grant was available for $850,000 for construction. The Aldine I.D. is contributing about $200,000 to the project. The Aldine district is now studying an additional neighborhood for this type of improvement – North Houston Heights. They have approved an engineering study of $350,000 to continue the planning work. Work on these projects is now conducted through the Aldine Water and Sewer Authority.